Banking Deserts: Fact or Fiction? BPI defines a banking desert as a “geographic area with no bank branch within 2 miles of the center of a census tract in an urban area, within 5 miles in a mixed area or within 10 miles in a rural area.” There is no set definition of a banking desert, but many previous studies, including those by the U.S. Federal Reserve, define a banking desert as a location without a bank branch within a 10-mile radius in both urban and rural areas. The study’s two predominant findings are that (1) the vast majority of the U.S. population has access to a bank with only 6 percent of Americans living in banking deserts, and (2) those living in low-income or minority areas are more likely to have better access to bank branches than those living in middle- or upper-income areas. These findings are somewhat surprising since they run counter to other research that has been done on this topic. Researchers at the U.S. Federal Reserve, for instance, found that residents of low-income neighborhoods are twice as likely to live in a banking desert compared to those living in high-income areas. In addition, the portion of residents in low-income areas living in banking deserts increased 0.17 percentage points between 2009 and 2014. This may seem like a small increase, but there are millions of people living in banking deserts and the fact that the number is increasing at all despite a growing economy is disconcerting. In addition, there are many severe and long-lasting consequences of living in areas without access to financial institutions. For example, those who live in these areas are 20 percent more likely to be credit invisible (i.e. lacking a credit score) and experience higher delinquency rates on average than those who live in areas with many financial institutions. Studies show that the negative effects are similar to having a $6,000 reduction in annual income. Those who have the means to move to an area with a more robust financial presence can partially offset these negative consequences of living in a credit desert, but it can take nearly two decades to completely negate the negative effects. Native Americans living on reservations are more likely to live in banking deserts than other groups. The average distance from the center of a tribal reservation to the nearest bank is 12.2 miles and the average distance to the nearest ATM is 6.9 miles. Those who live on tribal reservations may have to travel more than 60 miles to reach the nearest bank or ATM. In contrast, the average distance for those not living on tribal reservations must travel approximately 0.01 miles to reach an ATM. Thus, the portion of Americans living in credit deserts may have held steady since the Financial Crisis when using methodology employed by BPI, but six percent of the U.S. population is still too high. 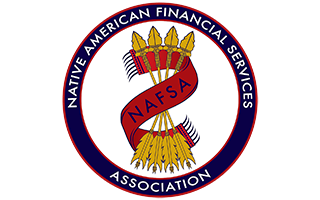 Fortunately, Native-owned banks and credit unions have stepped up to help serve the underserved.